After 17 years of interacting with thousands of people who defined themselves as both Highly Sensitive and Intuitive-Sensitive, I’ve come to realize that while all Intuitive-Sensitive People are Sensitives, not all Sensitives are Intuitive. An Intuitive-Sensitive Person shows as a refined, exaggerated type of Highly Sensitive Person. 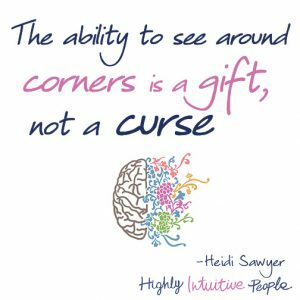 My view of Intuitive-Sensitivity comes from working with people who describe themselves as deeply intuitive – something they often find confusing and somewhat worrying. 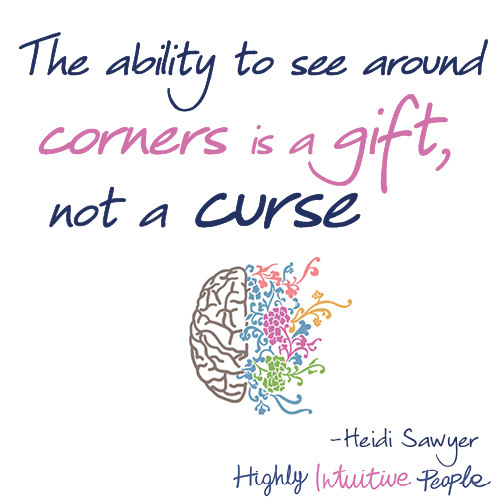 They’re concerned about what others might – or already do – think of their apparently finely tuned instincts: their ability to see situations for what they are, rather than what the world would like to see them as, as well as their inherent sensitivity. 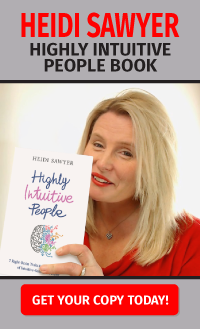 Intuitive-Sensitive People tend to be the Highly Sensitive individuals who want to explore their sensitivity for the good of themselves and others. They want to know what their intuition is about, how to use it properly and why they have it. In my experience, Intuitive-Sensitivity seems to come from an issue linked to nurturance in our early lives, which is either consciously part of our world, or a part of our unconscious heritage. Intuitive-Sensitives have, in the majority of cases, developed an additional component to their sensitivity as a layer of emotional self-protection. This ‘extra’ part is an extra-sensory skill over and above the normal senses. I’ve also discovered that Intuitive-Sensitivity is a hidden trait, one that Intuitive-Sensitives keep quiet from their outer world. Numerous professional people have confessed to me their extra-sensory skills: I’ve had doctors, barristers, CEOs, even a university law professor tell me about their secret psychic world. But Intuitive-Sensitivity impacts or ‘happens’ to people from all walks of life: the homemaker, the accountant, the man who’s afraid to tell his wife that he has extra-sensory experiences.